Olivia Holt at the Los Angeles Global Premiere of Marvel Studios’ Avengers: Infinity War at the El Capitan Theatre in Hollywood, Los Angeles, California on Monday April 23, 2018. Olivia Holt at the 2018 WE Day California held at the Forum in Inglewood, USA on April 19, 2018. Olivia Holt at the Marc Jacobs Fall 2018 Show during New York Fashion Week at the Park Avenue Armory in New Yotk City, NY on Wednesday February 14, 2018. Olivia Holt at the Premiere of Marvel Studios’ ‘Black Panther’ at the Dolby Theatre in Hollywood, Los Angeles, California on Monday January 29, 2018. Olivia Holt rocks the product at the Moschino Spring Summer 2018 collection party at Milk Studios in Hollywood, Los Angeles, California on Thursday June 8, 2017. Olivia Holt attends The 2017 KIIS FM Wango Tango in Los Angeles, California on Saturday May 13, 2017. Olivia Holt at Freeform 2017 Upfront at Hudson Mercantile in Manhattan, New York City, New York on Thursday April 19, 2017. 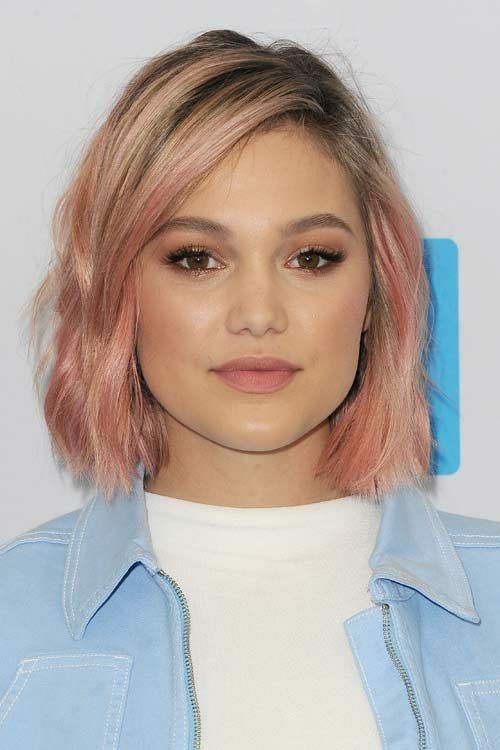 Olivia Holt at the 2017 iHeartRadio Music Awards at The Forum in Inglewood, CA on March 5, 2017. Olivia Holt attends the 2016 NASCAR Sprint Cup Series Awards at the Wynn Resort Hotel & Casino in Las Vegas, Nevada on Friday December 2, 2016.